May 24, 2011 – Square, the payment start-up company created by Jack Dorsey, one of the men who helped launch Twitter, has been all over the news this week with the announcement of two new apps – Card Case for consumers, and Register for merchants. The goal, as outlined by the company, is to challenge the NFC (near-field communication) model starting to gain some popularity in the payments field. The ambitious goal Square has is to replace cash registers by allowing consumers to simply say their name, such as “Charge it to Toni” to make a payment, rather than the process in use today of swiping cards. “A lot of people working in this space are concerned with the parts of transactions — coupons, receipts, waving your phone around in front of a terminal and wait until you hear a beep,” said Dorsey. 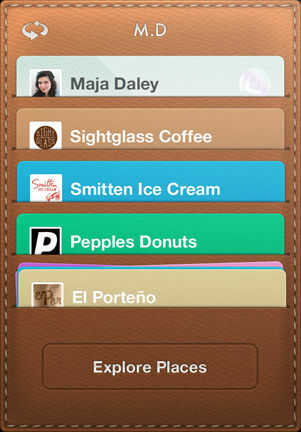 “We think it should be one system.” With the Card Case app, shoppers can see a directory of merchants using the Register system nearby. The system aims to replace not just the credit cards themselves, but loyalty cards and customer tracking methods as well. If, for example, shoppers open Card Case within about two blocks of a store, the merchant knows they are nearby and can see past orders so they can offer them custom offers or coupons. For security, the system works by having the shopper open the app, then click on a tab for a specific store. They then give their name to the merchant, who can see which customers have the tab open nearby, find the one that matches the name the customer has given them, and compare the person in front of them to a large picture included with the account. Right now, there are about 50 merchants who have the retailer portion of the equation installed, located across five cities: Los Angeles, New York, St. Louis, San Francisco and Washington, DC. Overall, the idea is very intriguing, and it will be interesting to see what happens with this small trial run, and how well it catches on with consumers. Personally, I worry about the security of this process, and have to wonder how hard it would be to steal a phone, upload a new picture and then have total access to that person’s credit information, or if there are other checks and balances in place. The iOS versions are out now, with the updated Android app promised soon. Until then, we’ll just have to wait and see how this plays out.